he Human Growth Complex Formula by UltraLab has become one of the most popular GH Formulas for the active lifestyle. The HGC Formula contains homeopathic Growth Hormone as well as other powerful ingredients to enhance you efforts to look better, feel better, and to promote health and well-being. The product has built a tremendous following with competitive athletes and those into physical fitness. Weight-training athletes and others involved in resistance exercise have found HGC to be an excellent addition to their training regimens in order to help them attain and even surpass their goals*. Whether you are a serious athlete looking for that extra edge, or someone just looking to promote wellness and vitality, the Human Growth Complex is right for you. 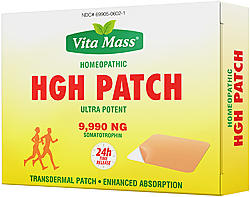 Homeopathic Ingredients: Growth Hormone (Somatotrophin) 12X, Insulin-like Growth Factor-1 (IGF-1) 12X, Alfalfa 3X, Arnica Montana 15X, Arsenicum album 15X, Baptisia tinctoria 15X, Bryonia 15X, Cinchona officinalis 15X, Gelsemium sempervirens 15X, Lacticum acidum 15X, Lycopodium clavatum 15X, Phosphorus 15X, Rhus toxicodendron 15X, Ruta graveolens 10X. Results are fast, feel much better after taking this. Very good product. I recommend it..
Definitely gives you that extra boost before a workout. 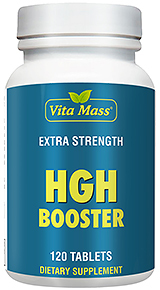 HGH Complex Suggested Usage: chew 1 tablet of human growth complex three times daily. Avoid food and hot liquids within 15 minutes of using product. Desirable times to take the product would be in the morning after waking and immediately after physical activity on an empty stomach.